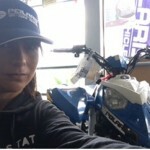 Rouse Motorcycles had been in business for over 20 years and is a one stop shop where you can purchase your new MX, quad, road bike, have your bike serviced and source a wide range of parts. For sales enquiries, ask for Shayn or Nick who both have a wide range of knowledge and will be happy to assist you. 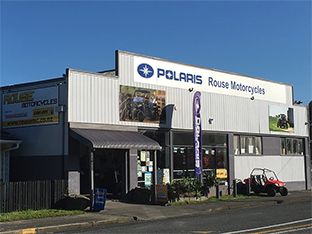 Polaris is a proven product that sells itself by being a reliable vehicle not only for farmers, but also the MX enthusiast; they also have a great range of bikes for children. The Can-Am range is our top seller and continues to produce new and exciting models to suit a wide variety of needs. Shayn and Jan Rouse founded Rouse Motorcycles Ltd in 1993 and the business has continued to grow steadily over the years. It is located on the main street in the friendly township of Hikurangi just six minutes north of Kamo,Whangarei. 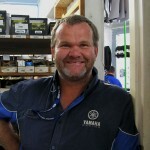 Shayn is also in partnership with Yamaha Whangarei on Port Rd. 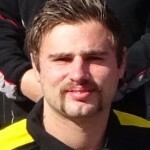 Shayn loves rugby and is a great supporter of Northland rugby. He is also actively involved in the Hikurangi community and the HBA group. 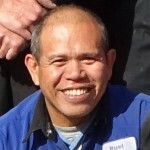 Ruel is one of our two workshop technician specialists. He specialises in motorcycle mechanics and has worked for RMC since 2008. Originally from the Philippines.In his spare time he loves relaxing spending time with his family. Nick works in our parts department alongside Shayn helping source the parts side of the business as well as being our sales representative and working the sales side as well. He has been with RMC since 2013. In his spare time Nick enjoys rugby, hunting and spending time hanging out with friends. 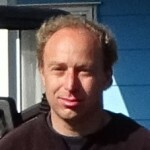 Tod works in our administration department working on the motorbike warranties and sales. She has enjoyed working here at RMC since 2010. She loves classic cars and motorbikes and currently rides a classic 1958 Honda C scooter. She also organises the Hikurangi Auto Madness Car Show. 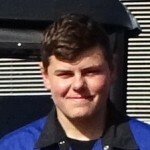 Brad is one of our two workshop apprentices. He started at RMC in 2014 and works well amongst the workshop team learning new mechanics weekly. He loves riding motor x and currently rides a Kawasaki KXF250. 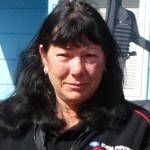 Regan works here as our caretaker cleaning & maintaining the grubbymotorbikes when they come in. He also picks up and delivers clients motorbikes anywhere & everywhere. He also has a passion for locomotives and can be seen driving the stream train in Kawakawa.